With just a week to go until Britain risks lurching out into legal limbo at midnight next Friday, EU leaders gave May an extra two months, until May 22, to leave if she wins next week's vote in parliament. Asked if he was willing to consider revocation if it was the only way to prevent no-deal Brexit, Mr Corbyn said: "These are hypotheticals". Any extension has to be approved by all 27 European Union members remaining in the bloc. Fellow Labour lawmaker Wes Streeting said May's speech had been incendiary, warning on Twitter "If any harm comes to any of us, she will have to accept her share of responsibility". European Union leaders are ready to give the United Kingdom a "short extension" of the pre-departure period if British MPs follow through on passing a deal that would be the basis of the post-Brexit relationship between London and Brussels. The fact Britain won't leave the bloc on schedule on March 29 is "a matter of great personal regret for me", she said. 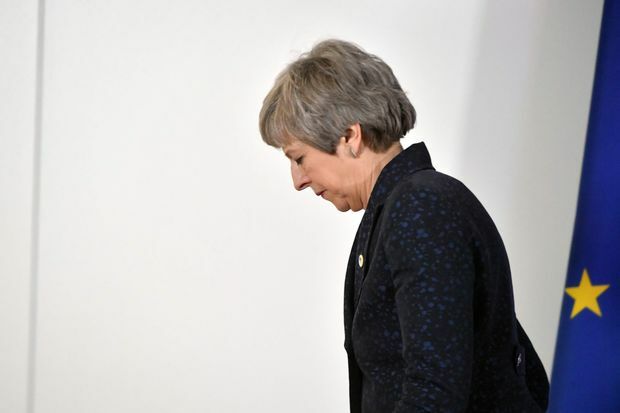 A huge number of MPs have directly challenged the leader over the past fortnight after the second failure of her Brexit deal, the paper revealed. European Commission President Jean-Claude Juncker (L) talks with European Council President Donald Tusk (R) during an EU Tripartite Social Summit at the EU headquarters in Brussels, March 20, 2019. Foreign Secretary Jeremy Hunt seemed to anticipate MPs taking this option, telling the BBC that "in a hung parliament MPs actually have to make decisions, because governments can not decide things on their own". "I have received quite a lot of messages from constituents today who are supportive of her message and there are obviously others who are not but the parliamentary arithmetic is such that it is very hard to reach a consensus on what option to take forward in a positive way". The former Belgian PM said, "I hope Mrs May will put the interests of her country ahead of United Kingdom party politics and I have said this to Mrs May and my friends in the Conservative Party". "The Prime Minister's statement was disgraceful", said opposition Labour lawmaker Lisa Nandy, who represents a Brexit-supporting area. In her letter, May said she meant to bring her deal back to the Commons "as soon as possible", arguing that if it passed, she would need the delay until June 30 to implement the treaty.